We’re only a month away from the much-anticipated premiere of Amazon Prime Video’s The Romanoffs, and the streamer has finally released the official trailer for its first anthology series. 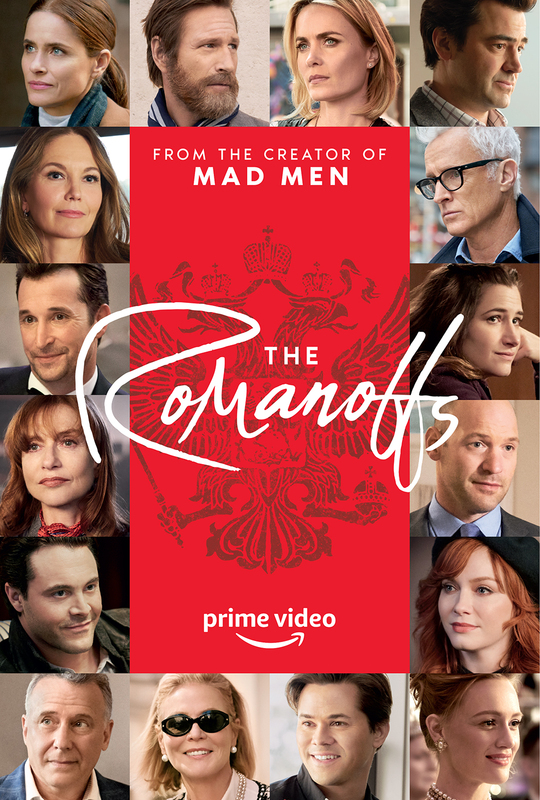 The Romanoffs is created, written, directed and executive produced by nine-time Emmy award winner Matthew Weiner (of Mad Men and The Sopranos fame), featuring eight separate stories about people who believe themselves to be descendants of the notorious Russian royal family. The episodes will be rolled out once a week. Set in seven different countries around the globe, The Romanoffs was shot on location on three continents—across Europe, the Americas and the Far East. Each episode takes place in a new location with a new cast. The first two installments of the series will be released on Friday, Oct. 12, only one month from today. The first episode, “The Violet Hour,” is set in Paris, France, and stars Marthe Keller, Aaron Eckhart, Ines Melab and Louise Bourgoin. The next episode, “The Royal We,” will star Corey Stoll, Kerry Bishe, Janet Montgomery and Noah Wyle. New episodes of The Romanoffs will premiere every Friday, starting on Oct. 12. After revealing a teaser trailer, first-look photos and an episode lineup last month, Amazon has finally released the official trailer, which you can check out below.